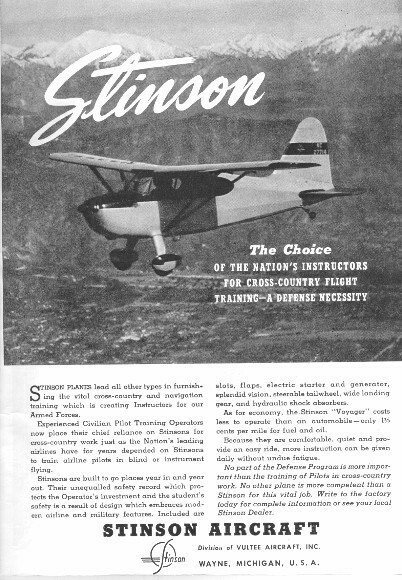 Shown here are images of various Stinson brochures and advertisements. These imges were scanned mostly from Stinson sales brochures. Some are images of advertisements for Stinsons. These images show original factory paint shcemes and interior views. Added 4/25/99, updated 04/04/08. Advertisement for the Stinson 10. This advertisement shows a model inflight. Added 04/25/99, about 95K. First brochure for the straight Stinson 108. 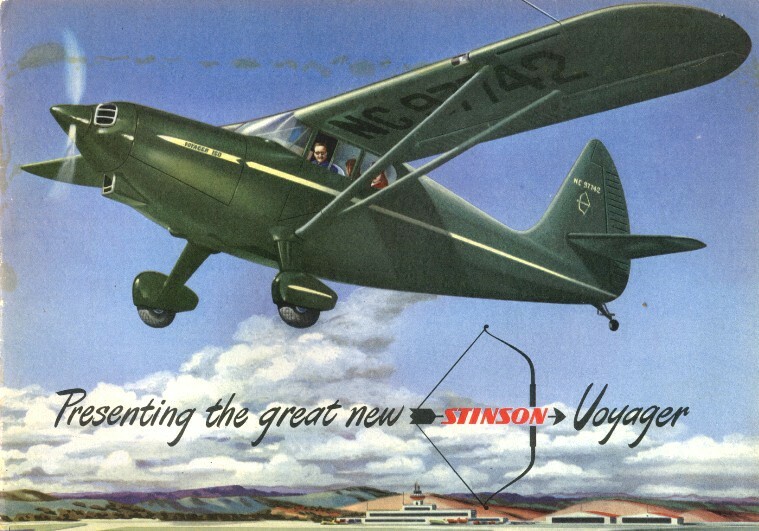 This cover view of the first Stinson 108 sales brochure shows the prototype 108, NC-31519, inflight. View shows the paint scheme for the straight model 108. At this point in the developement the 108 has a standard NC (commercial) license rather then the NX (experimental) often seen on this particular airplane. My thanks to Sherman Oxford for providing me this brochure. Added 04/25/99, about 132K. Brochure page for the straight Stinson 108. This page shows the many features of the new Stinson 150 (model 108) Voyager airplane. My thanks to Sherman Oxford for providing me this brochure. Added 04/25/99, about 83K. Straight Stinson 108. This is a page from the brochure which is a performance table for the first model 108. My thanks to Sherman Oxford for providing me this brochure. Added 04/25/99, about 76K. 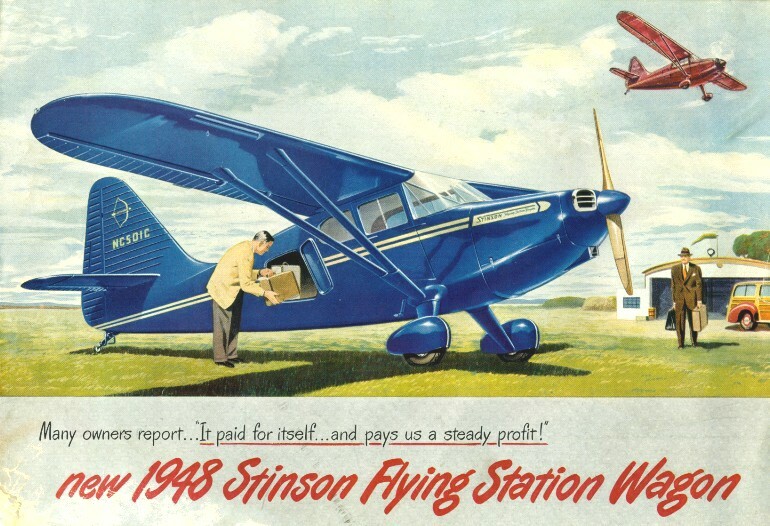 Brochure cover for the Stinson 108-1. View shows the standard paint scheme for the 108-1. The airplane depicted on the cover, NC97742, is actually serial number 108-105, built early in the 108 production. NC97742 is shown on the production summary as the prototype 1947 108-1 aircraft. Also shown is NC97744 and NC9746 inside the brochure. All three aircraft remain active on the FAA register. Brochure dated 1946. Added 04/25/99, about 132K. Brochure view of the Stinson 108-1 Interior. This is the standard "Voyager" interior of grey wool mohair. Added 04/25/99, about 96K. Brochure view of the Stinson 108-1 Performance Table. Added 04/25/99, about 64K. 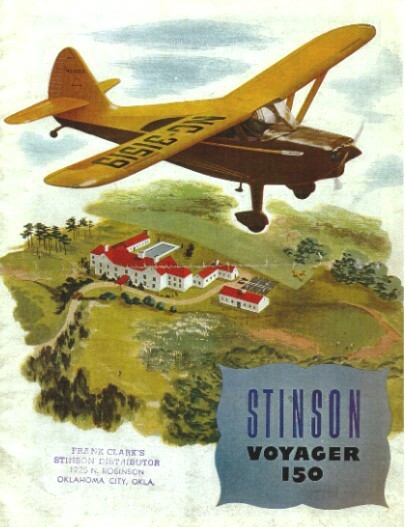 Brochure cover showing Stinson 108-1 NC8260K. 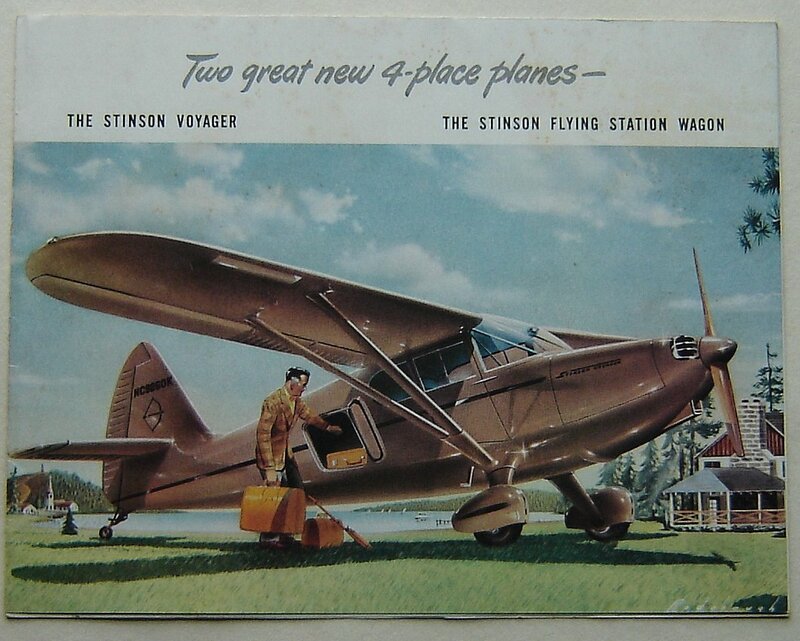 The production summary indicates this Stinson was painted "Blue Stinson Number 3" although the cover of this brochure looks closer to light brown to me. Brochure date April 1947. Added 04/04/08, about 190K. Brochure cover showing Stinson 108-2 NC9510K. The airplane depicted, NC9510K, is still active on the FAA register. Brochure date April 1947. Added 04/04/08, about 153K. 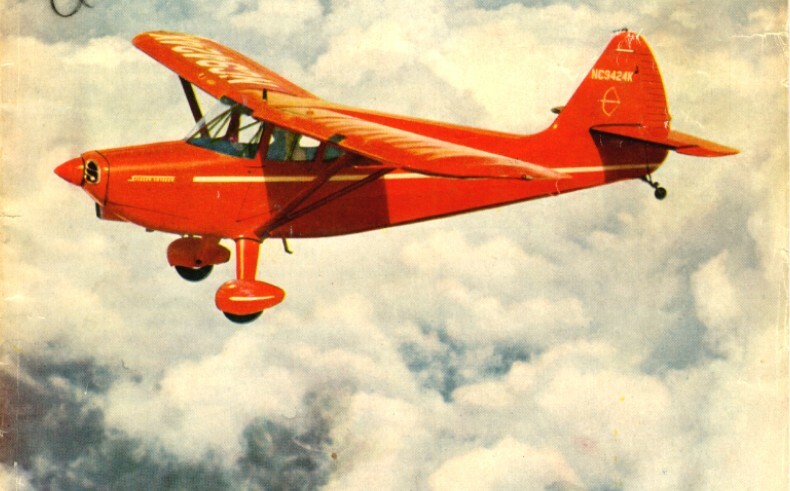 Magazine cover view of a Stinson 108-2. This view shows the standard model 108-2 paint scheme. Added 04/25/99, about 90K. 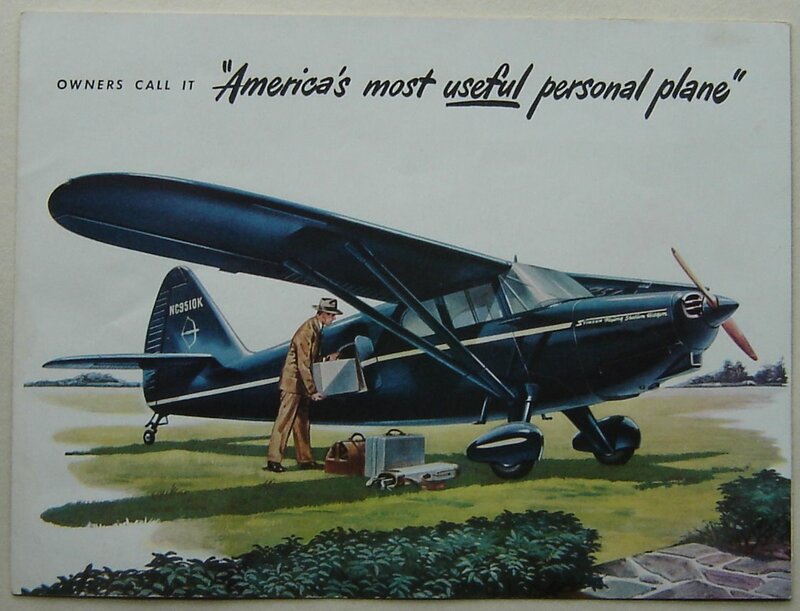 Brochure cover for the Stinson 108-3. By this time in the Stinson 108 production the Flying Station Wagon was the primary model. There were only two colors offered by Stinson for 108-3, Maroon and Blue, both are shown here. Both used a Diana Cream strip. Airplane depicted, NC501C, still active on the FAA register. Added 04/25/99, about 150K. 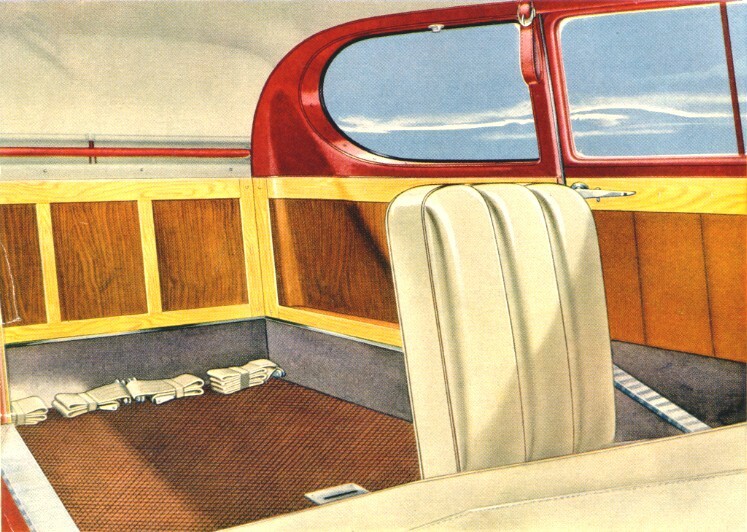 Brochure view of the Stinson 108-3 Interior. 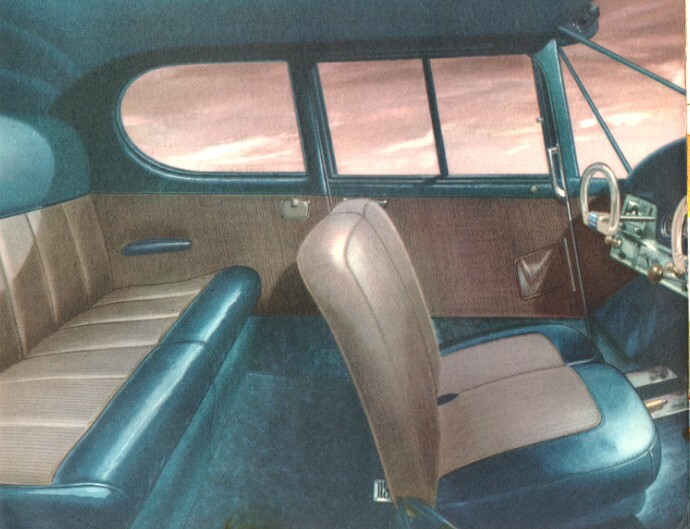 This is a view of the Flying Station Wagon interior. Added 04/25/99, about 153K. 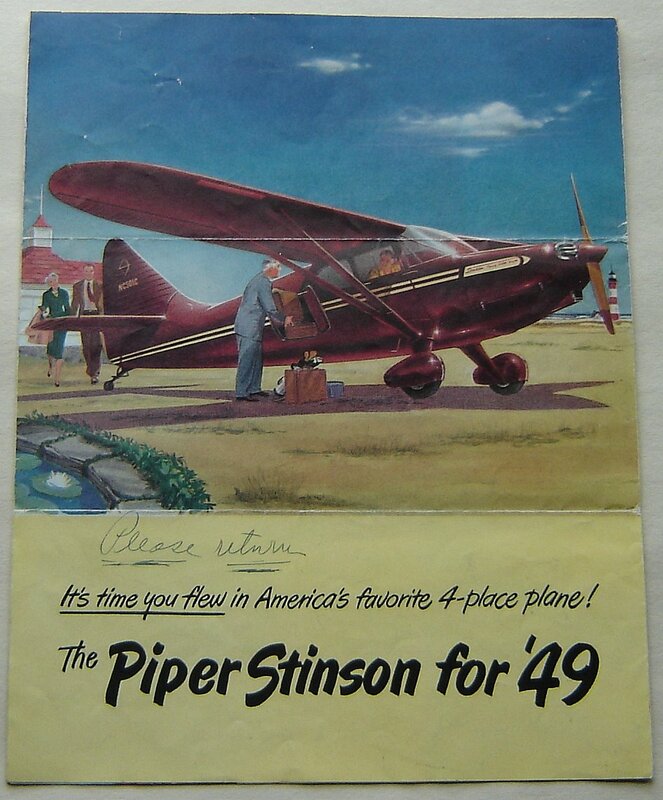 Brochure cover showing the 1949 Piper Stinson 108-3 NC501C. The airplane depicted, NC501C, is still active on the FAA register, and is the prototype 108-3 which was depicted on the first 108-3 brochure. Brochure dated January 1949. Added 04/04/08, about 214K. 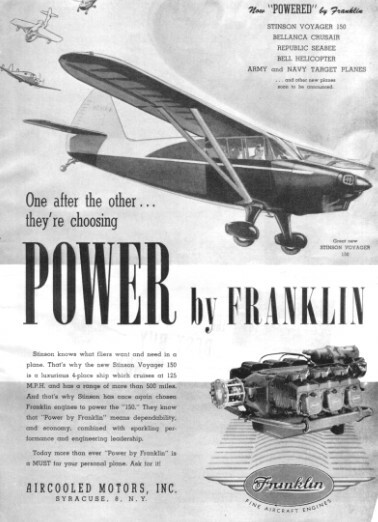 Magazine advertisement for the Franklin engine. Shows a Stinson 108 and lists other aircraft which use the Franklin engine. Added 04/25/99, about 56K. Return home to Larry & Sue Westin's Stinson and Batcat homepage.